It’s a bit disconcerting, since the Thaksin everyone in Thailand knows is former Prime Minister Thaksin Shinawatra, ousted by a 2006 military coup and living in self-imposed exile since 2008 to avoid serving a prison term for a conviction on a conflict of interest charge. Phimai, in Nakhon Ratchasima province, is in Thailand’s poor rural region known as Isan, the heartland of the neglected farmers and villagers who represent the original and still largely loyal base of the former prime minister, a billionaire now living in Dubai. “I want to grab the attention of the people, making sure that my name is easy to remember. I only have one to two months to campaign, so I decided to change my name to be symbolic,” said the candidate in Sunday’s general election. The name-changing tactic may be tricky, but it’s not insincere. Phimai’s Thaksin is running as a candidate for Pheu Chart, one of several small parties established by allies and supporters of the former prime minister. There is an established flagship pro-Thaksin party, Pheu Thai, but election laws established by the anti-Thaksin military government targeting the former leader’s political machine are aimed at keeping any large party from obtaining a legislative majority. So the pro-Thaksin strategy is to splinter the machine into separate parties that could unite forces after the election. Name-changing is a tactic to help overcome confusion over political brands, especially for the new, lesser-known satellite parties. It also helps to stand out in a large field of candidates. More than 11,000 are registered for Sunday’s vote, compared to just over 2,800 in the last election. Thaksin Chuajunud is one of 15 candidates from his party who made opportunistic name changes. Most took on the name “Thaksin,” but four adopted the name of Thaksin’s sister, Yingluck, who became prime minister in 2011 and was forced from office by a controversial court decision just before the military ousted her government in another coup. She also has faced court cases that supporters charge amount to political persecution, and likewise fled into exile. Phimai’s Thaksin is on fairly friendly ground as he introduces himself at a local market. It’s been more than a decade since Isan’s political hero, the former prime minister, even set foot on Thai soil, but he is not forgotten. “I wish he would come back. I wish that every day and every minute. I don’t know how and I have never really said this. I do miss him. I am concerned about him, and I quietly give him my support,” says farmer Pajaree Changkodpanao, wiping away tears. 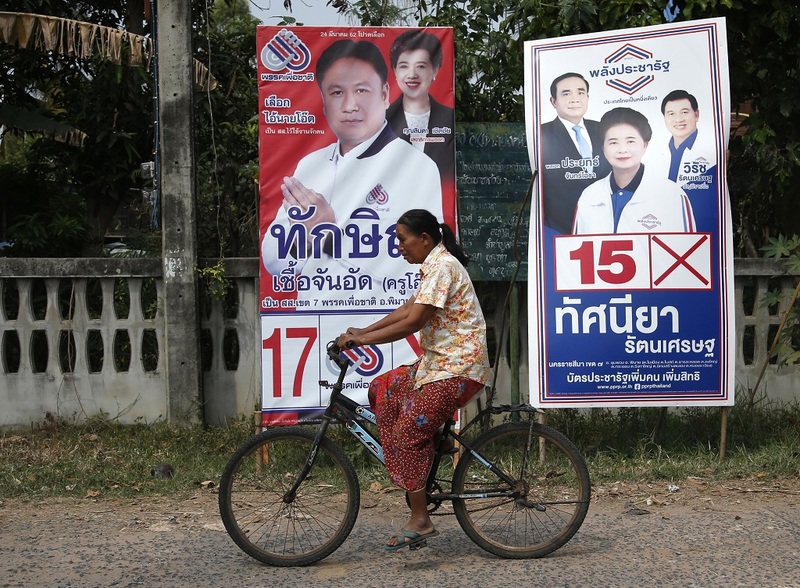 Pro-Thaksin parties, despite serious roadblocks put in their way by Thailand’s traditional conservative political establishment, have won every national election since 2001. Thaksin, who made his fortune in telecommunications, used his money to subsume rural and regional political power brokers into his own party, then once in power implemented generous and generally unprecedented social programs benefiting the rural poor and urban working class, cementing his relationship with a majority of the country’s voters. 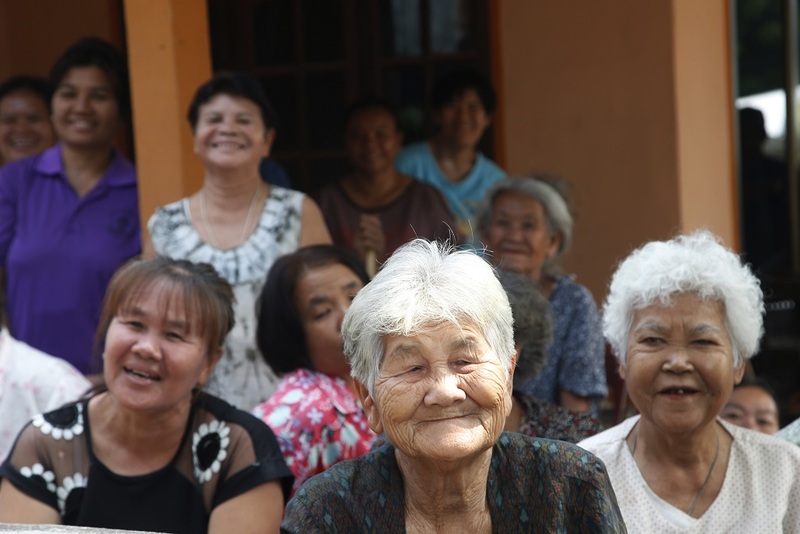 Thaksin’s populist policies, such as a universal health care scheme and generous farming subsidies, account for a good deal of his popularity in poor rural areas. They also show the people in those areas the gains the political process could bring them aside from the cash handouts they traditionally receive from vote-buyers on election eve. 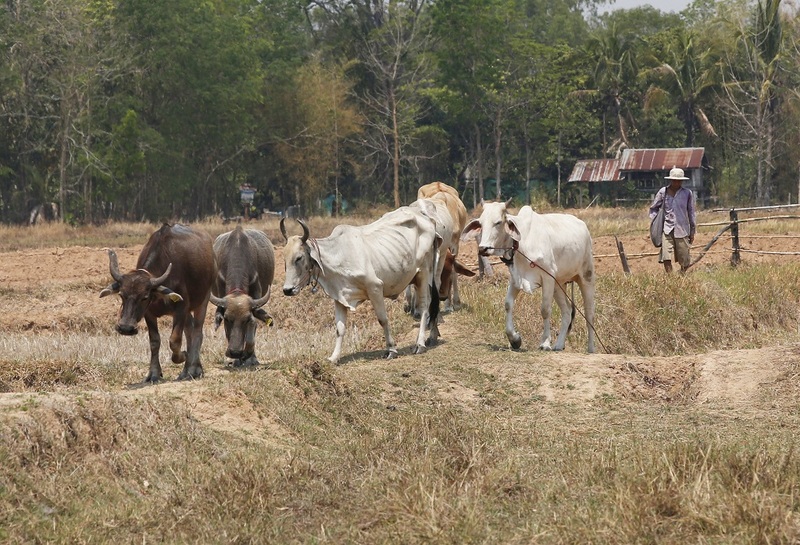 Virot Ali, a political science lecturer at Bangkok’s Thammasat University, says he believes people in the countryside still think of Thaksin as the main person who guided the economy in the interests of the rural sector, as well as gave them confidence that democracy could work to their benefit. Thaksin’s populist policies assured him large electoral majorities, but also alienated the country’s traditional power-holders — royalists, the military and their Bangkok middle-class supporters. The 2006 coup that ousted him, after accusations of abuse of power and disrespect toward the monarchy, set off a battle for power between his supporters and opponents that sparked sporadic mass street violence and triggered the army’s second coup in 2014. The anti-democratic measures still being taken by Thaksin’s opponents to thwart his political comeback — changes to the constitution that offset the direct election of legislators and limit the power of elected lawmakers — are a measure of what Thaksin’s supporters are up against. Phimai candidate Thaksin says he’s up for the challenge.